Halloween 911…Your Dog Just Ate What? In the course of pet ownership, the strange and bizarre behavior of your beloved animal will eventually terrify or astound you. During over 30 years of practice, I have been amazed at the diversity, quantity, and quite frankly, the serendipitous nature of objects that a pet will consume. I found that the holidays bring a spike in phone calls from clients and texts from friends who are honestly distraught over what recently went into or came out of their animal. From remote controls, broken glass, lingerie, mulch, legos, entire bottles of glue, or yo-yos, to the potently toxic things like chocolate, raisins, onions, illegal drugs, and so on, this list is truly mindboggling. My how the canine emergency has diversified since the ingestion of a single chicken bone. In a way, it is not surprising because haven’t we also experienced similar multiplication in the diversity and quantity of things that we process in our daily lives? And, much akin to our pets, we may wander into these situations somewhat serendipitously. History.com has a thorough article on the origins of Halloween which I will briefly recount here to give some context. Some may argue that the genesis of Halloween is as distant as the Babylonians or Assyrians, but the root of the Western tradition appears out of some age-old European traditions. The Celtic festival of Samhain (pronounced “sow-in”) is over 2000 years old and marked the beginning of their new year on November 1st. On the night before the new year or October 31st, they believed the ghosts of the dead returned to earth. They tied this phenomenon to the coming of the cold winter, crop death, and the end of the harvest season. The Druids or Celtic priests, dressed in costumes of animal heads and skins performed incantation rituals to prophesy about the future and provide hope. Around 43 A.D., after 400 years of conquest by the Roman Empire, the Roman festivals of Feralia which commemorated the passing of the dead, and Pomona, in honor of the goddess of fruit and trees were grafted into the festival. It is interesting to note that this festival was part of Roman tradition during the life of Christ. As Christianity spread, the Catholic church sought to honor Christian martyrs, then all saints and martyrs and supplanted the Celtic traditions by 1000 A.D. The nomenclature and gradual movement of the day from November 1st to October 31st were traditionally All Saints Day (All-hallows or All-hallowmas) and the night before named “All-Hallows-Eve” or eventually Halloween. Interestingly enough, the costumes, story-telling, and mischief were retained in the tradition. The European culture also included the belief that on Halloween ghosts came back to the earthly world, and in fear of encountering one of these spirits, people would wear masks when they left their home after dark to disguise their identity. Also, bowls of food would be left outside their house to appease the ghosts and discourage them from entering. The Protestant Reformation was not far behind when on October 31, 1517, Martin Luther posted his “95 Theses” on the door of the All Saints’ Church in Wittenburg, Germany. Reformation Day was established as an alternative or parallel celebration to Halloween. Interestingly enough this October 31st marks the 500th anniversary of the beginning of the Reformation. An interesting footnote is that our modern day observance of Halloween in America has grown into the “family friendly” version in only the last 60 years since its commercialization during the late 1950s. This year alone it is predicted that 25% of all the candy sold in the United States will be purchased toward Halloween, and consumers will spend over 6 billion dollars on this holiday alone, coming in second only to Christmas. Serendipitous Transition or Intersection of Tradition with Opportunity? The history of Halloween shows that over 2000 years transpired for a Celtic tradition consisting of a desire to know about the future was adopted and integrated into the mainstream by the Romans, affected by the Church, westernized into America, and then morphed into a commercial enterprise in our lifetime. Just like our pet in the first illustration, could the concept of Halloween be something we stumbled upon and ultimately consumed? To a dog or a cat, they are attracted first by the novelty, then enticed by the exploration with their senses, and if interesting enough, will engulf the entire substance. Sometimes we humans behave the same way. The outcome might be innocuous, fulfilling, or even pleasant for a while. To others, the experience is toxic, painful, and even dangerous. I find it interesting that the response to “ghosts” was to wear a mask and attempt to bribe the spirits with food. In fact, we all wear masks and try to gain favor because of our failure to meet God’s standard. If people knew who we really were behind the facade, would we still have their acceptance and respect? My purpose here is not to vilify the 2000 year history of Halloween, but to show that its significance remains in how we respond to it. What if our response were different than that of the Druids, Romans, and the like. Instead of fearing the darkness, and spirits in the dark places, we chose to be the light of hope and generosity on October 31st? Let this be food for thought when you put a candle in your Jack O’lantern this year or hand out candy to youngsters. Oh, and by the way don’t be stingy with the candy- give out plenty. Just remember to keep it away from the dog. Going to the doctor, or to the veterinarian for must of us is not something we embrace wholeheartedly. I hate to wait in line, much less wait at any doctor’s office. As a veterinarian, my profession is like many other noble pursuits where we know prevention of disease through vaccination and laboratory surveillance is key to providing a longer, happier life for our patients. We preach prevention and compliance all day long. Even so, a recent study a few years ago by Novartis Animal Health showed that if the average client purchases a full year worth of monthly heartworm prevention, the average compliance is only 9.2 doses or about 76%. Since the cost of treating heartworm disease can reach or exceed $800-$1000, an ounce of prevention is surely worth a pound of cure. Nonetheless, we are all human and have a life to live in front of us. This instance is certainly devastating enough in our dog’s life, but what could be learned from this about our spiritual life? When performing a physical examination on a patient, I do what is known as a “nose to tail” exam. I start with the nose and examine each system as I progress from front to back, making notes and observations all along the way, whether good or bad. I think this approach is helpful in examining our spiritual condition in several ways. First, start with your mind, thoughts, and beliefs. If our mission in our Christian walk is to “know God and make Him known” then it reasonably follows that you must first know “Him”. So how do you know that you know Him? Romans 1:20 says: “For since the creation of the world His invisible attributes are clearly seen, being understood by the things that are made, even His eternal power and Godhead, so that they are without excuse.” Therefore, underlying intellectual knowledge of God is the premise of knowing the existence of God through general revelation from the world around us. However, to believe that God exists is separate from believing in God, specifically belief in the atoning work and teachings of Jesus Christ. This distinction leads us to the next critical juncture in “knowing” which resides in listening to the heart. Many of us experience an intellectual knowledge of God but lack a relationship in our heart. This relationship must not be confused with an emotional response to God because a positive emotional response to God solely through a feeling or a song might lead us toward God, but likewise, later a negative emotion or doubt could be waiting to draw us away. Matthew 22:37-40 is very clear: “‘You shall love the Lord your God with all your heart, with all your soul, and with all your mind.’ 38 This is the first and great commandment.39 And the second is like it: ‘You shall love your neighbor as yourself.’ 40 On these two commandments hang all the Law and the Prophets.” And further Matthew 7:16-17 states: 16 You will know them by their fruits. …17 Even so, every good tree bears good fruit, but a bad tree bears bad fruit. ” So, check your heart and you will know by the evidence that you love God fully as shown by the fruit in your life. This vital connection between the mind and the heart is proof of God’s effect in your life. Apologetics and knowledge give us reasons and evidence for how we know what we believe and why we can know and trust that the evidence is true. The goal therefore in apologetics is to grow in knowledge and ultimately in the relationship with God himself. Sometimes during an examination, I will discover pain in an area, and the evidence of a previous illness or injury. Occasionally I also will find evidence of cancer. Spiritually, we can liken this finding to trauma, suffering, or sin in our life. If left untreated, the condition can affect the remainder of our lives. The book of James reminds us that we should “count it all joy when we fall into various trials”. So when you feel pain, how do you respond? 1 John 1 reminds us that what the Disciples saw, heard, and touched was testified to us in order for our “Joy to be complete”. One of the foundational verses of Christian Case-making is 1 Peter 3:15, but often missed is the statement: But sanctify the Lord God in your hearts, and always be ready to give a defense to everyone who asks you a reason for the hope that is in you.” You must connect your thoughts, your mind, to loving God. Is your heart attitude toward your neighbor, and if so do you experience the spiritual fruit of a relationship with Jesus? Galatians 5:22-23 gives us “the fruit of the Spirit is love, joy, peace, longsuffering, kindness, goodness, faithfulness, 23 gentleness, and self-control.” I challenge each of us to take time to perform a spiritual check-up. In this way, God’s amazing grace can be prescribed by a relationship with Jesus Christ, the greatest of all physicians. Don’t All Dogs Go to Heaven? 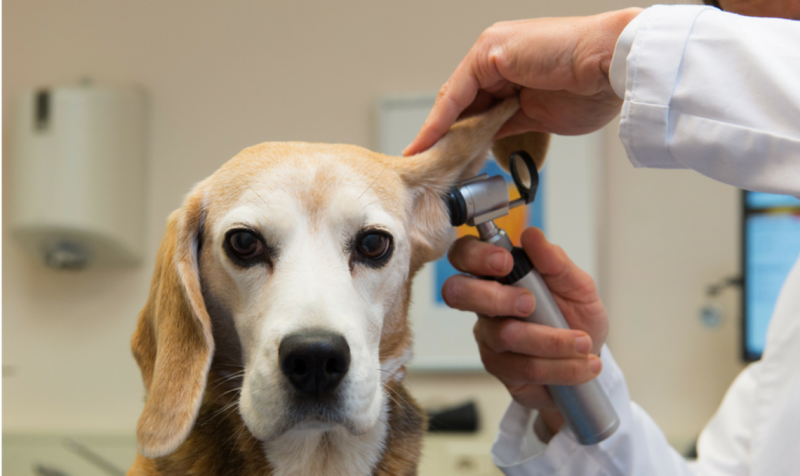 Medically speaking, as a veterinary practitioner you get an array of challenging questions. Every day it seems there is something new that I have never considered. As we navigate life in an ever-changing culture, the struggle to communicate effectively is a real one. Without rival, the prized event of any veterinarian’s day is the new puppy or kitten visit. Bundled with the newness of life, the soft fur, and the puppy breath are inevitably the client with a list of questions, or even better yet, the child with ” a question for the doctor.” In anticipation of the challenge, I am often reminded of sound advice from one of my early mentors who said, “If you take the child by the hand, you take the parent by the heart.” Therefore, every inquiry is a test, an interview, a treasured opportunity to be an ambassador. So begs the question, all dogs do go to Heaven, right? The answer is not a simple one. The Bible does not explicitly state that we will see our pets again in Heaven. However, Isaiah 11:6 says “The wolf also shall dwell with the lamb, The leopard shall lie down with the young goat, The calf and the young lion and the fatling together; And a little child shall lead them.” Taking into account the character of God and His love, 1 Timothy 6:17 tells us, that He “gives us richly all things to enjoy.” So in God’s provision for us here on Earth, we can trust that His provision for all creation will certainly be likewise in Heaven, only better than we could imagine. Let us apply this similarly to the question: Don’t all religions lead to Heaven? The answer here is much more clear-cut: No. Ultimately, we must define what do you mean by Heaven? First of all, the basic premise lies in how one defines Truth. Is there such a thing as absolute truth, or is truth relative? For example, can what is right for you be true for you, and what is right for me be true for me, although it contradicts your truth concerning the same circumstance? For instance, a dog can be either inside the house, or outside in the yard, but not both at the same time. This idea is known as the Law of Non-Contradiction. Next, apply the claims of a few individual belief systems to the idea of Heaven. Judaism believes that if Heaven exists, we will all be there. Islam claims Heaven is for those that Allah chooses. Hinduism purports Heaven as Nirvana, where you are free from all desires. For Buddhism, it is a place of emptiness, free from conscious thought. For Christians, Heaven is a place of eternal joy for those who have accepted the free gift of salvation from Jesus Christ. For secularists or atheists, Heaven does not exist. Easily one can see that they all can’t be true at the same time, and they are in essence contradictory claims. Third, in considering the options, can the truth be known, or is the truth just a matter of our feelings or preferences? Dr. Frank Turek presents a great analogy for this dilemma. You can read a book and understand its contents (truths), yet deny there is an author (God). But without an author, there would be no book! In such case life only becomes a matter of my preferences over your preferences and leads to chaos in the absence of rules to govern anyone’s behavior. Such an issue of existence in untenable and does not favor the flourishing of society because there is no standard of behavior. If there is a measure of behavior, called morality, then there is a moral law. If there is a moral law, there must be a moral law-giver. In his book Stealing From God, Dr. Turek outlines actually why atheists need God to make their case against Him.